Give the Gift of Beauty. 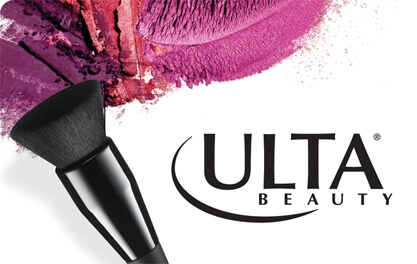 Ulta Beauty offers one-stop shopping for a unique combination of over 20,000 prestige and mass beauty products across the categories of makeup, fragrance, haircare, skincare, bath and body products and salon styling tools in over 800 stores nationwide and online at Ulta.com. Ulta Beauty also offers a full-service salon in all of our stores. INSPIRE BEAUTY EVERYWHERE.